Chicago can be expensive but fortunately many of the best things to do and see in Chicago are cheap or totally free! 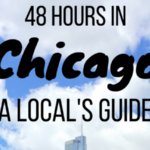 Here are my top picks for the best free things to do in Chicago. 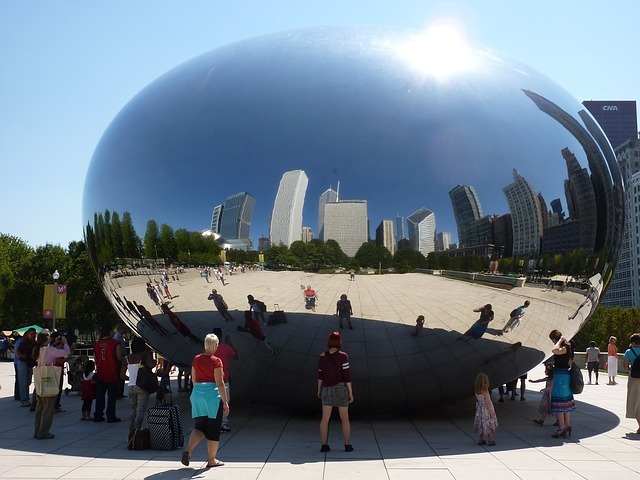 If you have seen photos of Chicago on instagram or facebook, chances are you have seen photos of The Bean, the mirrored sculpture in Millenium Park. Millennium Park is a portion of the Grant Park, and includes Cloud Gate (nicknamed The Bean), the Jay Pritzker Pavilion, the Crown Fountain sculpture and Lurie Garden. Millennium Park is free and a great place to take some selfies at The Bean to remember your trip to Chicago. If you are traveling with children, check out Maggie Daley Park, a large public park located between Millennium Park and Lake Michigan and connected to Millennium Park by the BP Pedestrian Bridge. Features include a fieldhouse, climbing wall, an ice-skating ribbon, mini-golf and several different play areas for kids. 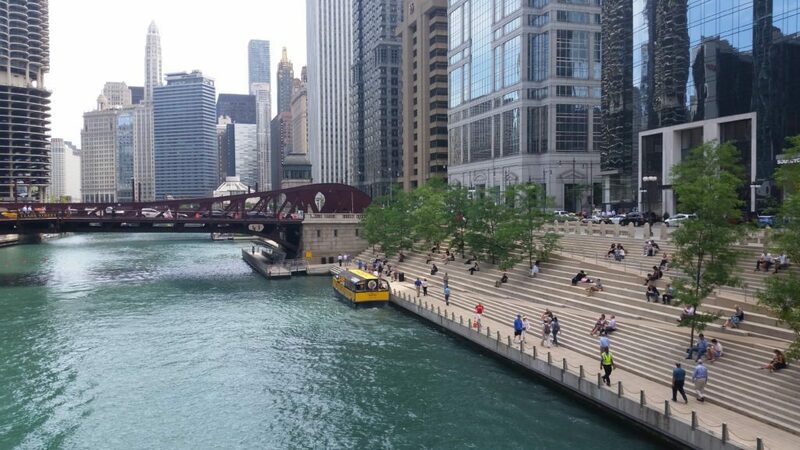 An alternative to a pricey river cruise is to take a walk along the Chicago Riverwalk. The Riverwalk is one of the best spots in Chicago for people watching and there are also restaurants, shops and places to sit along the way. Navy Pier is free although you have to pay for the attractions and restaurants. There are fun attractions at Navy Pier including a Ferris wheel, restaurants, shops, an IMAX theatre, the Chicago Children’s Museum, and the Chicago Shakespeare Theater. Navy Pier is also the starting point for various sightseeing tours and cruises. If visiting in the summer, there are free fireworks at Navy Pier every Wednesday and Saturday night. 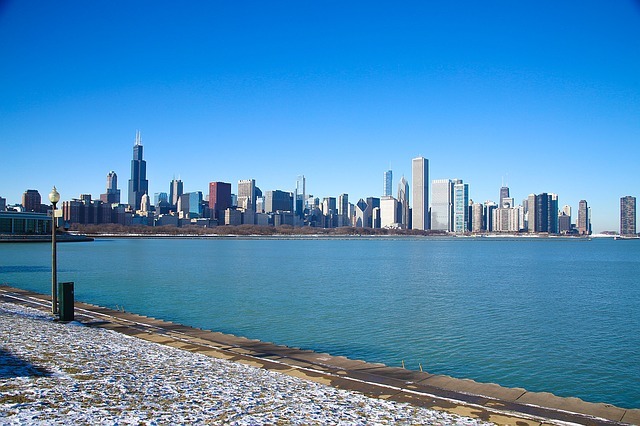 Chicago’s Lakefront Trail is an great way to see Chicago and enjoy incredible views. Chicago’s Lakefront Trail is a paved path on a 18-mile-long stretch along Lake Michigan and it is a great spot to people watch and get some exercise. In the summer and weekends, the lakefront is packed with locals and visitors walking, running and riding bikes. Most people don’t think of Chicago as a beach destination but Chicago has many beaches along the lake. The most popular beaches are located downtown (Oak Street and North Avenue) but they are also the busiest. Two of the best beaches for more of a local feel include Kathy Osterman Beach and Foster Avenue Beach which are both located north of downtown. Another free attraction, Lincoln Park lies along the lakefront. Lincoln Park is large but first time visitors should focus on the section adjacent to the Lincoln Park neighborhood which contains the Lincoln Park Zoo, Lincoln Park Conservatory, Theatre on the Lake, a rowing canal, the Chicago History Museum, the Peggy Notebaert Nature Museum, the Alfred Caldwell Lily Pool and the North Pond Nature Sanctuary. The Lincoln Park zoo is one of the oldest zoos in North America and one of the only zoos in the US with free admission. Although some of the stores on Michigan Avenue are pricey, it is totally free to window shop. Join the throngs of visitors and locals shopping on Michigan Avenue. 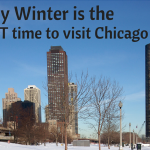 If you enjoy tours, you can take a free tour with a Chicago Greeter. This website matches visitors with volunteers for 2-4 hour guided visits of Chicago. Best of all these visits are customized based on your interests. There is almost always one or more festivals or events going on each weekend. 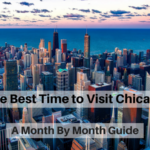 Some Chicago festivals are very well known and attract tons of visitors, but there are many festivals and events in Chicago where you will mostly see locals. For great food, music and people watching, check to see if there are any festivals or events going on while you are in town. Many of the festivals are free including the Chicago Air and Water Show, Taste of Chicago among others. The 606 is Chicago’s version of The Highline in NYC, an elevated trail goes through 2.7 miles of the city’s northwest side neighborhoods: Wicker Park, Bucktown, Humboldt Park, and Logan Square. It is a bit off the beaten tourist path but it great place to walk, run or bike. There are several access points so you can get off the trail to explore the various neighborhoods. There are many more free things to do in Chicago but these are my top free attractions for first time visitors. What to do in Corsica if you are visiting the first time? Great list! So many great free things to do in Chicago. I need to get myself to Chicago soon! I have friends who live there and an open invitation to visit them anytime! The bean is so iconic, you relate chicago to it, so its a must visit for me. Also, I would love the river walk, it’s the kind of thing I enjoy. Also, Chicago’s lakefront trail looks pretty appealing.